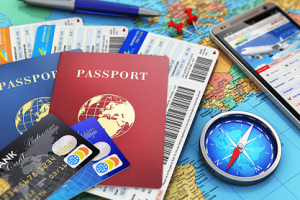 Prepaid cards have become very popular as an option to the traditional credit and debit cards, and this is especially true for travellers. Straight up theft. Once money is stolen you won’t get it back. The prepaid card can be closed, or if you don’t have a chance to close it, your loss will be contained to what was deposited to the card. A prepaid card holds no personal information or connection to a bank account, and so there is no chance of anyone gaining sensitive personal information about you. With a prepaid card you know exactly how much you have to spend, and an overdraft is not an option. Not having access to more money can make it easier not to overspend. Financial overview. With an online record of transactions it’s easy keeping track of how much money you’ve spent and what you’ve spent it on. There are an incredible number of providers when it comes to prepaid payment cards, but by choosing one of the major card types you are guaranteed a card that will work practically anywhere in the world, and that will also be able to assist you with customer service promptly at any time or place. Another great feature with the major cards is that it is usually a lot easier to transfer money to the prepaid card from another account. This means that if you find yourself with low funds, you have the option of transferring from another account or asking someone back home to help out with a transfer. Another great feature with these prepaid cards is that you don’t have to worry about constantly keeping on top of exchange rates and exchanging the right amount of money into the right currency wherever you are. 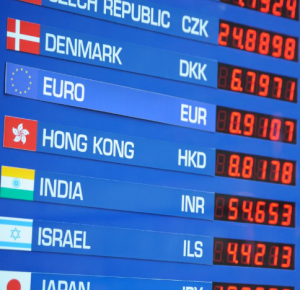 If travelling to more than one country, this is a great feature, as you won’t have to worry about procuring several different currencies before leaving home, or worry about re-exchanging currencies every time you cross a border. Some cards even give you the option of locking in a rate of a given currency, giving you full control over your spending at any given time.